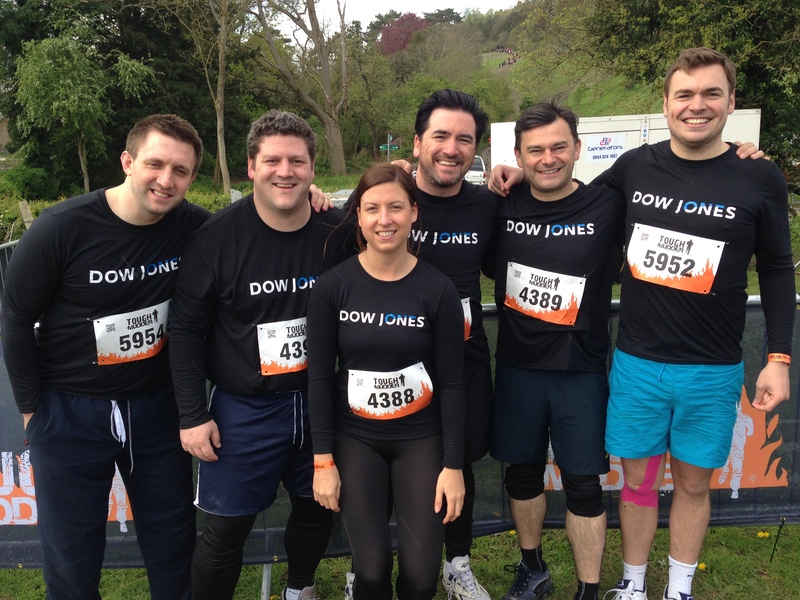 At this time a week ago I was sitting in a car with Scott, Simon, Graham, Charlotte and Lewis – Team Dow Jones. We had rendezvoused an hour earlier at Clapham Junction for the 1hr20mins drive to Culden Faw, a sprawling estate near Henley on Thames and the location for Tough Mudder London West 2014. Spirits were high but the anticipation and sense of entering the unknown meant that stress levels were also creeping up. The last thing we needed was a delay and that was unfortunately exactly what we experienced with the Henley on Thames one way system delaying us by an hour. We passed the time by reeling off our lists of illnesses and injuries probably so we felt we had each individually set the groundwork if, in the likely event, we failed to finish. As we arrived late the time from parking to the start line shot by in a blur of changing, registering, handing in our waivers and writing race numbers on each others foreheads (something to do with body identification no doubt). We were warmed up at the UnderArmour stage and then sent to the start line. The organizers felt the need to put a 6ft wall between the warm up area and the start line but as I would soon realize this would be the least of my worries. We were then held at the start line for 15 mins and given an odd mix of a motivational speech and a sales pitch. We were about to join mudder nation, all that lay in our way was 20 obstacles over 20km of tough terrain. We chanted, swore an oath and saluted those who had gone before. We hugged a stranger and promised to help our fellow mudders in need. Indeed it was about beating the course – together – not about our race time. The actual race is well documented and a simple search of YouTube will give you a sense of what goes on. So for the sake of brevity I’ll give you my top memories/observations. 1. As soon as the starting gun went off the course took us on a very steep and muddy climb. I thought about quitting in the first 5 mins as there was clearly no way I was going to complete the challenge. 2. Some human beings can run very quickly up muddy hills. They are a different shape to me. 3. The obstacles very quickly turned from being a nice break in the running eg. the crawl under the barbed wire to bloody awful eg. jumping into a skip filled with water and ice and having to submerge your whole body. 4. Ice cold water takes your breath away, makes you think your heart will stop and is bloody tough to jump out of and start running. 8. I don’t know their names but to the 3 gentlemen who grabbed parts of my body on Everest (the last obstacle akin to a half pipe) and helped me over the top all I can say is thank you, I love you and I owe you. The reason I entered the challenge was to add a little variety to my training for London to Monte Carlo 2 and with some running and personal training sessions and the challenge itself I certainly feel fitter than I did this time last year. 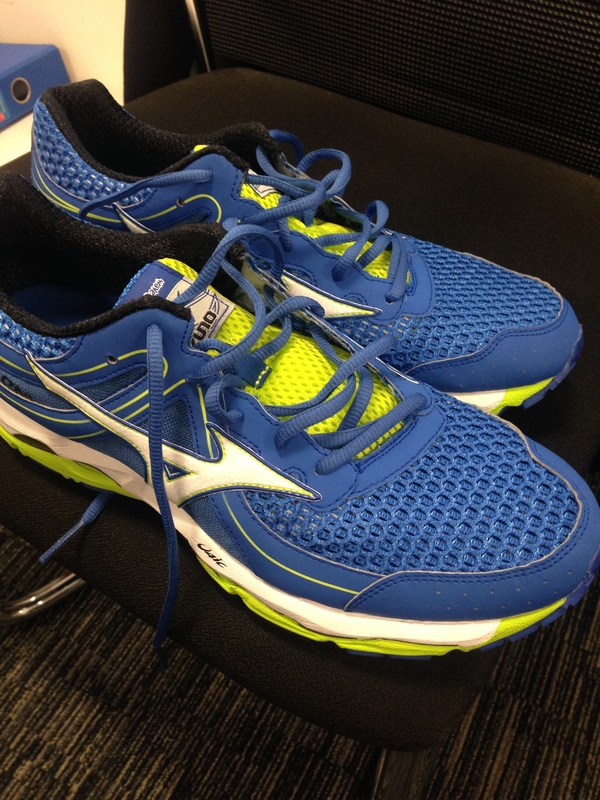 Now it’s back to the bike to get some serious miles in the legs and of course a new pair of trainers….. This entry was posted in Uncategorized and tagged tough mudder; team dow jones; getting fit by jcdw10. Bookmark the permalink.